This year, I had the chance to visit two of the major international wine fairs: ProWein in Düsseldorf, Germany and Vinitaly in Verona, Italy. These two fairs are only two weeks apart and are considered by some as head-on competitors. But are they? In terms of size, both are huge. ProWein took up nine halls while Vinitaly had a whopping 18. Both required at least a 10 minute focused (ie, not distracted by wine) and brisk walk to get from one end to another, so make sure you wear comfortable shoes. In terms of numbers, ProWein had about 4,700 exhibitors and over 44,000 trade visitors in three days while Vinitaly featured around 4,200 exhibitors and a startling 140,000 visitors (both consumer and trade) over four days. ProWein certainly has much more of an international focus. Wine producers from some 50 countries in all five continents, ranging from China and Uruguay to Slovenia and England, were present, and visitors were certainly international with a significant number of Asian faces. 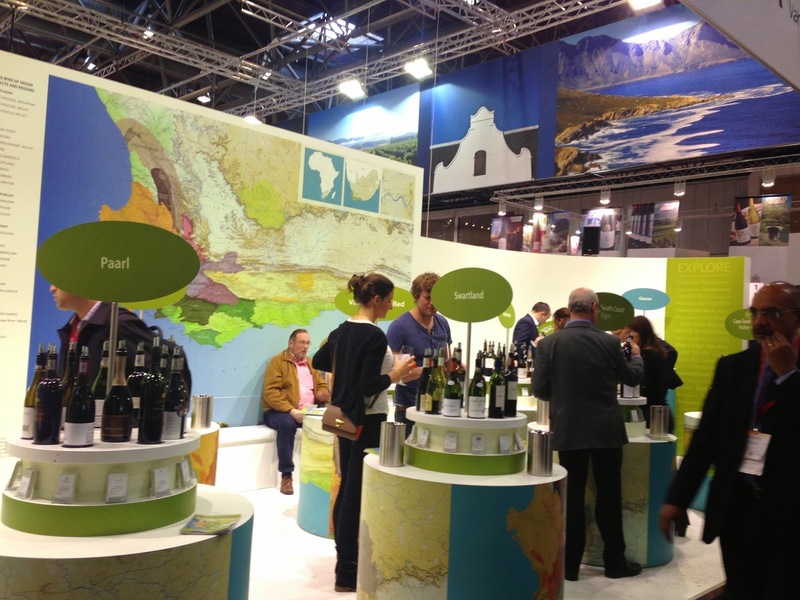 Most exhibitors were grouped by country and region whereas WSET had three booths strategically located in different sections. 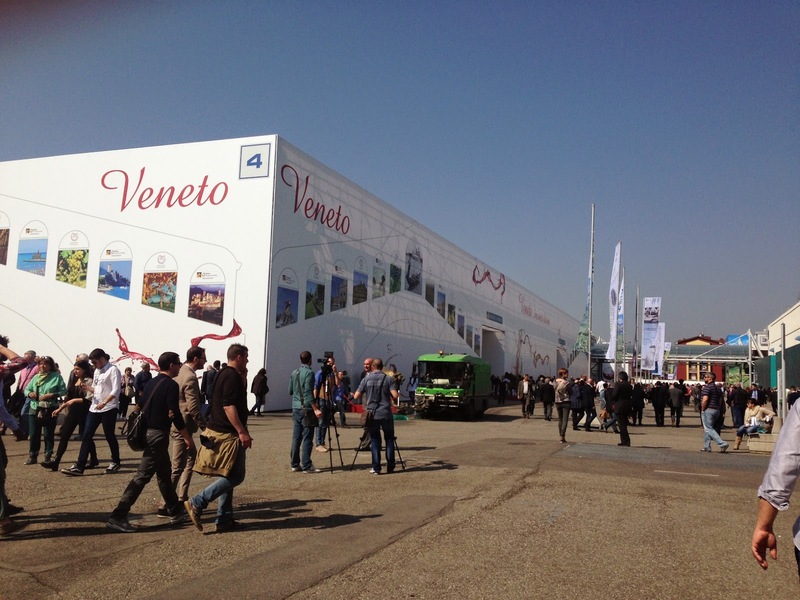 In contrast, Vinitaly’s exhibitors were at least 90% home grown and visitors were largely European. So, from the above observations, ProWein and Vinitaly are not truly direct competitors. Which fair you choose to exhibit at or visit depends on what you are looking for. For me the highlights of both fairs were the many opportunities to taste off-the-beaten-track wines. At ProWein around 50% of the space was dedicated to France, Italy and Spain but I only tried wines from two Italian and one Spanish exhibitor. I was far more attracted by the pavilions of Switzerland, Hungary, Slovenia, Austria, England and Uruguay. I had two full days there but could have done with another two just for these lesser-known wine regions. At Vinitaly, we moved mostly in a group following a fixed programme but I was lucky to have some time to myself wandering the Piedmont hall. There I discovered Erbaluce, a white wine with vibrant character, and Vespolina, a minor relative of Nebbiolo that is spicy and tannic. Both come from the Alto Piedmont region. Again I would have loved to have two extra days just to explore all the native Italian varieties! ProWein was well organised and efficient in everything from entrance access to taking breaks. Apart from on-site restaurants there were various mobile catering vans selling hot dogs and sausages all day long. The visitor pass also included free public transportation to and from the fair. Inside I particular liked the self-service tasting area where a few hundred bottles of premium wine (over €10 per bottle) were lined up for visitors to taste. And some individual countries, including South Africa and Hungary, had their own self-service areas. This is a very good concept, especially in allowing the media and educators to get an overview of the wines on offer, and also for comparing and contrasting the many different styles of wine that can be made from a single variety, such as Chenin Blanc from South Africa or Furmint from Hungary. Vinitaly, in comparison, was somewhat more chaotic. We were in a group led by Vinitaly staff but, even so, entrance to the venue was not always straightforward. Restaurants opened late even though there were queues of people waiting, and they ran out of food if you were too late. It seemed that most people were driving, so you can imagine the traffic around the venue. Although I don’t mind sharing a fair with consumers, their number was overwhelming, especially on the first day (I later found out that the first day, the Sunday, was indeed the ‘official’ consumer day). I was tasting and writing notes at one booth when a group of loud ladies came by, sat at the table and started ordering wine as if they were in a bar. The lady I was talking to went to serve them, and eventually I just walked away without tasting any more from that booth. By early afternoon groups of half-drunk teenagers were everywhere and some had to be taken out by ambulance. The attitude of exhibitors at the two fairs was also very different. At Vinitaly, perhaps because it largely caters for local visitors and perhaps also because of the language barrier, I found most exhibitors not very inviting. The gates opened at 9:30 but by 10:30 some exhibitors were still not ready. As I walked around, most of them (both big and small) did not seem to want to make eye contact let alone invite me to try their wine, so I ended up doing more walking than tasting, although, having said that, once I was welcomed to a booth, exhibitors were all enthusiastic. In contrast, the exhibitors at ProWein clearly had more international experience, and tastings were always conducted in a professional and efficient manner. So which is better? ProWein Düsseldorf is an international platform bringing together wine producers and buyers from all over the world, whereas Vinitaly Verona is about showcasing Italian wines to largely European buyers (although they are gearing up to attract more international exhibitors). Sp, if your heart is with Italy, Vinitaly is definitely a fair not be missed but if you want to have a bit of everything, and especially if you are on the lookout for wines from smaller regions, you won’t be disappointed with ProWein. And both fairs are starting to venture beyond their home turf. ProWine has expanded to Shanghai (ProWine CHINA), aiming to bring international wine producers to Chinese buyers, while Vinitaly has organised shows in several major international cities including New York, Moscow, Hong Kong, Shanghai and Chengdu, helping Italian wine producers develop new markets. Yet their essential characters still remain the same: ProWein caters for international wine producers while Vinitaly largely serves Italian wine producers. As for me, I enjoyed both, mainly because as I was able to try lots of wines that are not available in Hong Kong. I loved the well-organised ProWein and the very well-planned and efficient itinerary arranged by my host, Wines of Germany. Vinitaly could certainly borrow some efficiency from ProWein but our host, Vinitaly International, made up for it with additional programmes, especially OperaWine featuring 100 top Italian producers (although at just two hours long it was way too short), and the various fabulous dinners. Allegrini, with its welcoming laser show and stunning outdoor audio-visual presentation, was something I shall never forget. Thank you both Wines of Germany and Vinitaly International for providing such wonderful learning and experience. I always love Italian wine so naturally will not want to miss any tasting opportunities. The most memorable recently was the Vino Veritas portfolio tasting at Colour Living. VinoVeritas is an Italian wine importer founded by Michael Palij MW, who selects the wines personally and recently moved to Hong Kong. There were 17 wines for tasting and I was impressed by the selection—all good quality, very reasonably priced and not short of hidden gems. I particularly like Vigneti Massa (Walter Massa) from Colli Tortonesi, a five-generation winery in Piedmont. Its ‘Costa del Vento’ white wine made from indigenous Timorasso is concentrated with lively acidity and a savoury palate that could probably age for a few years. According to Jancis Robinson’s Wine Grapes, Timorasso used to be the most praised white variety in Piedmont until it was taken over by the more productive Cortese (used in Gavi) when vineyards were replanted after phylloxera in the early 20th century. It is only in the last few decades that a handful of producers, notably Walter Massa, have started replanting and have doubled its vineyard area from 6ha in 2000. Timorasso, in Jancis’s words, is a "rare, high-quality Piedmontese earning renewed recognition". Walter Massa also makes red wine. His ‘Bigolla’ Colli Tortonesi Barbera DOC 2003 is still young with generous black fruits and an opulent mouthfeel, very different from the typical Barbera on the market. Apparently, Walter met Michael some time ago at a restaurant and insisted Michael try some of his wine. Michael was impressed and the rest is history. We are lucky to have Walter's wines in Hong Kong. Ten days later I moved east from Piedmont to Friuli where Roberto Cioaca from Heritage Wines treated us to an intimate lunch at the Piedmontese restaurant La Piola with the winemaker/owner from Masùt da Rive, another family winery with four generations of history, now run by the brothers Fabrizio and Marco Gallo. They inherit and preserve the values of their father, and only make wines that truly respect the environment and express the land. By the way, ‘Masùt’ is the family nickname and ‘da Rive’ means on the hill. They sensibly did not use the family name Gallo on the label to avoid stepping on the US Gallo family’s turf. Back to the wines, the Ribolla Gialla, an indigenous grape from the region, is refreshing with a crisp acidity and creamy mouthfeel—a pleasant summer drink and a steal at less than $200. Friulano, another native grape which Fabrizio describes as a young cousin of Sauvignon Blanc, indeed has the shadow of Sauvignon Blanc but minus the pungent herbaceousness, which makes it more suitable for pairing with food such as crispy dishes or white meat and less tiring when drunk alone. By the way, it is also known as Sauvignon Vert or Sauvignonasse, a descendant of Sauvignon Blanc. Masùt da Rive also has other wines, Sauvignon Blanc and Pinot Nero (aka Pinot Noir), both not particularly the cup of tea of Ali Nicol, publisher of Wine Times HK, who was also at the tasting. Nevertheless, at the end, Ali was happily drinking both. Guess that says something about the wine! Walter Massa is available from VinoVeritas. Masùt da Rive is available from Heritage Wines.